While many gardeners know that hosta plants grow enthusiastically in containers, growing hostas indoors as a houseplant may be a new idea. As long as you give hostas plenty of water and fertilizer, you can keep hosta plants happy indoors. 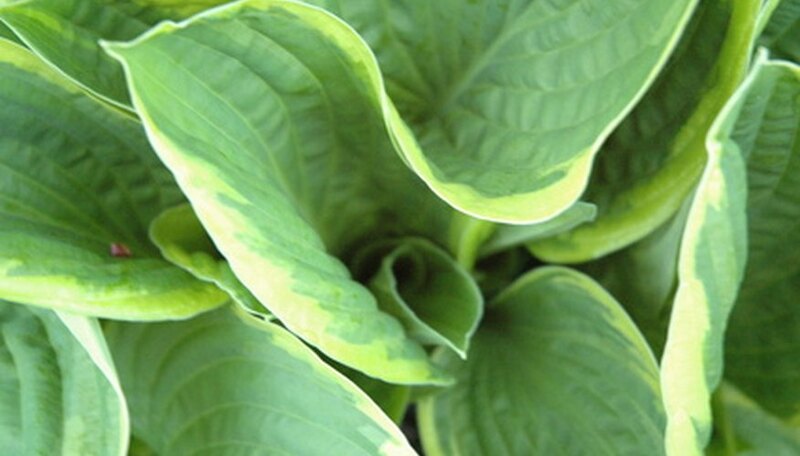 To take care of indoor hostas, provide them with a resting period each winter to mimic winter dormancy. Choose a container appropriate for size for the size of the hosta plant. A large hosta plant will require a large and deep container. A smaller hosta plant needs a smaller, but still deep, container. Fill the planting container approximately halfway with rich potting soil. Place the hosta plant into the container and fill in additional potting soil to cover the roots of the hosta plant. Water the hosta plant immediately after planting it in the container. Continue watering until water drains out the bottom drainage holes. Place the hosta plant in an inside location that does not receive direct sunlight. Indirect sunlight, such as early morning sun, is ideal for a hosta plant. Provide water for the hosta plant when the soil begins to dry. Keep the potting soil evenly moist without allowing it to dry completely between watering. Pour water carefully onto the potting soil without allowing the foliage to get wet as you water. Water until the water drains out the bottom drainage holes. Fertilize indoor hosta plants every two weeks by mixing the fertilizer with water according to package recommendations. Pour the fertilizer carefully over the soil without allowing the fertilizer to splash on the plant foliage. Allow the hosta plant to enter a resting phase each winter. Move the hosta plant to a dark location with temperatures approximately 40 degrees F. Add a light layer of shredded mulch to the top of the planting container. Provide water for the hosta plant once per month, adding just enough water to moisten the soil minimally. Move the hosta plant back up to its regular location in the spring and resume watering and fertilizing. Assess the hosta plant to determine whether it needs a larger container. Generally, hostas will require larger containers every three years. If the hosta’s root system is pushing up against the sides of the container and you notice roots extending out the bottom drainage holes, transplant the hosta to a container that is 2 to 4 inches larger in diameter. Remove the hosta from its current container carefully. While you have the hosta out of the container, loosen the roots carefully with your hands. Place the hosta into its new container, planting it at the same depth as it was previously growing. Fill new potting soil in around the hosta plant to finish transplanting it.